By working in collaboration with other divisions, students gain access to critical interdisciplinary programming that supports their career development while institutions find a mechanism to serve students better and reduce costs at the same time. To meet the needs of the evolving 21st-century workplace, current trends in higher education focus on training students in interdisciplinary or interprofessional education through fostering collaborative experiences in programs from different fields and professions. This trend is particularly relevant within the health care professions, including medicine, nursing, and allied health care fields (Coster, Norman, Murrells, Kitchen, Meerabeau et al., 2016). Department chairs and program directors can serve as role models for collaboration by working together to identify key learning opportunities, establish partnerships and share curriculum to promote improved student engagement through interdisciplinary education. 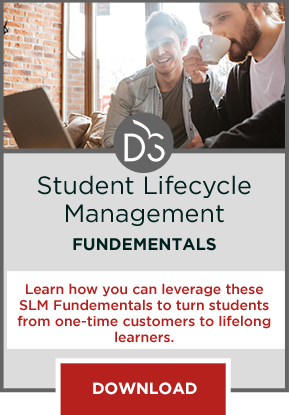 Specifically, program directors or chairs can identify courses within one department that can broaden and enhance the learning for students within other departments. Through this process of curriculum sharing, courses within one program or department can serve as a minor or concentration for another. The sharing of service or experiential learning opportunities can also benefit students from a number of programs (Falk, Durington & Landford, 2012). Furthermore, this provides faculty with opportunities for working with diverse groups and exposes students to diverse perspectives and experiences, and collaborative learning experiences. Obtaining administrative support to legitimize collaboration among university departments. Expansion of the definition of scholarship to allow and to view the legitimacy of cross-department activities. 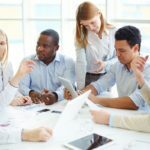 Promote the work of committees, design teams and task forces to foster collaboration among departments. Support for the value of interdepartmental collaboration, which helps to promote institutionalization of collaborative efforts. Support from administration, program directors and faculty can be obtained through emphasizing a number of key benefits. First, there is tremendous value to sharing expertise and resources among faculty. Program chairs and directors can learn from each other’s practices in program administration and faculty management (Fulford, 2016). 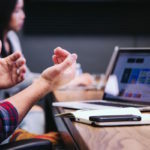 Course sharing and promotion of interdisciplinary education can also cultivate a collaborative environment within the school and among departments, which can further strengthen programs. Collaborative teaching can also enhance students’ learning outcomes and educational experiences. Including courses from other disciplines can also encourage and attract students with diverse interests and experiences. These collaborations can improve understanding between administrators and faculty perspectives. Furthermore, significant cost savings can be realized through offering a course that can serve students from a variety of programs. The sharing of teaching approaches, content and perspectives can further enhance the faculty members’ knowledge base and provide them greater exposure to innovation and best practices. During a challenging time in higher education, this practice can set the stage for future faculty collaboration, open new areas of scholarship, and promote cross-disciplinary research (Wilson & Zamberlan, 2012). Lastly, course sharing and collaborative teaching can promote open communication and improved equity among programs and faculty workload. Enhances students’ ability to work in teams, synthesize and integrate multiple viewpoints in developing innovative solutions. Within the School of Continuing and Professional Studies (SCPS) at the University of Virginia, we have applied both intra- and cross-departmental collaboration among our Bachelor of Professional Studies in Health Sciences Management (BPHM), the Bachelor of Interdisciplinary Studies (BIS) and several certificate programs within our Business and Professional Studies portfolio. The BPHM program is an online “Bachelor’s Completion Program” for individuals who have a transferable associate’s degree and are an allied healthcare professional with national certification in their field. Our curriculum is aligned to meet key competencies established by the Association of University Programs in Health Administration (AUPHA). Our students are allied healthcare professionals in the areas of respiratory therapy, medical sonography, radiologic technology and emergency medical services, to name a few. Students within the BPHM program are required to take five courses in general education, three in the social sciences and two in the humanities and fine arts. This provides our students an interdisciplinary experience by taking courses along with students within the BIS program. 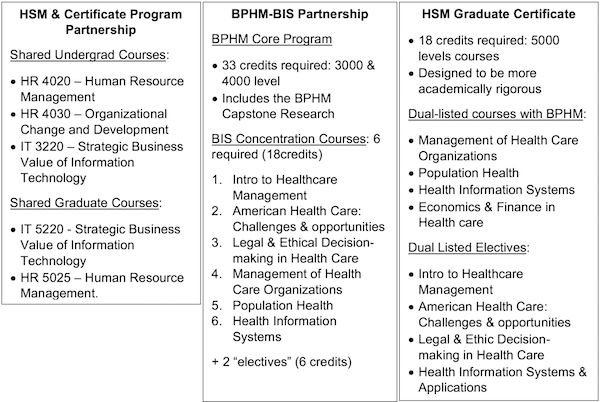 Since the BPHM program’s launch in 2015, we developed and launched the Graduate Certificate in Health Sciences Management (HSM) in 2016 for individuals who already held a minimum of a bachelor’s degree, but needed to be upskilled with a curriculum providing them the requisite knowledge, skills, and competencies in healthcare management to prepare them as entry-level healthcare managers. Intra-departmentally, we developed “dual-listed” courses at the graduate level to align with the undergraduate level courses in the BPHM program. 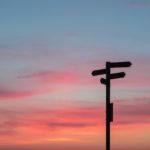 The graduate level courses, however, are more academically rigorous, with higher-level learning objectives, assignments and discussion forum topics. Undergraduate students in allied health within the BPHM program benefited from the diverse perspectives and experiences of the graduate students interested in healthcare management, but entering from diverse fields such as marketing, nursing, finance and education. In the following year, the BPHM and the BIS program director worked collaboratively to develop a “concentration” in healthcare management within the BIS program. The program directors identified six courses that would serve as the core required courses, along with a variety of courses that could be selected as electives. This concentration provides students within the liberal arts-focused degree completion program with the opportunity to focus their studies in healthcare management. Students within the BIS program take eight courses within the BPHM program, interacting with and learning from students within the program who already have work experience in allied healthcare. Many of the BIS students are interested in healthcare but have limited work experience in that area. The courses provide the students with the opportunity to learn from one another, share their diverse experiences and perspectives and develop a learning community of healthcare management students. 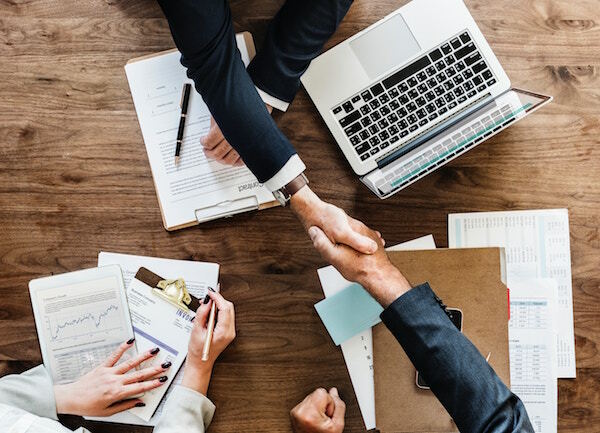 Establishing intra- and cross-departmental collaborations among program and departments provides a number of benefits to administrators, program directors, department chairs, faculty and most especially, students. Within SCPS, the benefits to our students in collaborating and connecting with other students in different fields, with diverse perspectives and with varying levels of experience have been significant. For these collaborations to work effectively, clear communication among program directors and faculty, as well as the development of appropriate policies or agreements, are necessary to ensure consistency and quality across the programs, departments and courses offered. Coster, S., Norman, I., Murrells, T., Kitchen, S., Meerabeau, E., Sooboodoo, E., & D’Avray, L. (2008). Interprofessional attitudes among undergraduate students in the health professions: A longitudinal questionnaire survey. International Journal of Nursing Studies, 45(11), 1667-1681. Falk, A., Durington, M. & Landford, E. (2012). Engaging Sharp-Leadenhall: An Interdisciplinary Faculty Collaboration in Service-Learning. Journal of Public Scholarship in Higher Education, 231-246. Fauske, J. R. (1993). Five Conditions for Sustaining Cross Campus Collaboration on Teaching and Learning. Northern Rocky Mountain Educational Research Association Journal. Wilson, S., & Zamberlan, L. (2012). Show Me Yours: Developing a Faculty-Wide Interdisciplinary Initiative in Built Environment Higher Education. Contemporary Issues in Education Research, 5(4), 331-342.